Humans are of two persuasions on this question. On the one hand you have the materialists who say, “No, what you see is what there is.” To be clear, they don’t really limit reality just to what you can see; they limit it to what is observable or explainable if matter is all that exists. For example, a materialist might explain something like love (which is kind of hard to see, even under a microscope) with an appeal to evolutionary theory: the feeling of love benefited our human ancestors by helping us form attachments that resulted in tribes that protected members and assured survival of the species. In other words, what we call love is really a complex combination of chemical reactions. On the other hand, you have the spiritualists who say, “Yes, there is a reality beyond the physical realm.” They might explain something like love by appealing to God, a being not confined to the material world. They might say love is a real thing that flows from God and has a power on us in a way similar to gravity. Before we go any further, let’s be clear on one thing: materialism and spiritualism both require faith. Materialists look around at the world and choose to believe that only that which is physical or explainable by the physical is real. They limit their world based on the belief that only that which can be empirically (scientifically) verifiable is real. There's no undeniable proof for this belief, it takes a leap of faith to hold it. Meanwhile the spiritualists believe in a bigger universe based on the belief that humans are limited in what we can know and observe. Again, there is not proof, just evidence that can be observed and interpreted. Meaning. Scientists, scholars, sages and Sunday school teachers all agree that people need a reason to live. Each of us wants to attach our individual life to something bigger: a cause, a concern or a story. We want to believe and live as if our life mattered for more than just taking in oxygen and releasing carbon. 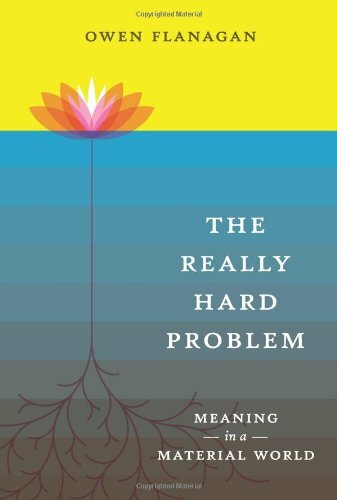 Materialists have a tough time with meaning (for an interesting read on this, check out Owen Flanagan’s book The Really Hard Problem: Meaning in a Material World). Justice. Materialists often cry out for justice, but for the life of me I cannot figure out why. We all want people (other people and ourselves, but especially other people) to live justly. Justice is the notion that things are not right and should be made right. But by what measure can the materialist appeal for “right?” In a materialist’s world, right and wrong, good and evil are not real – they are just fabrications that help us operate well in the material world. Right and wrong are created within the material world, not imposed from beyond. But if right and wrong are constructs, why not choose a different way to live since we are not really bound by such unreal concepts as right and wrong? Suffering, Life and Death. Spiritualists say there is something about you that is more than just your cells and chemicals: you have what some call a soul that exists beyond your body and maybe even after your body is dead. Materialists say that you live and you die and then it’s over and it doesn’t really matter. But everyone who’s ever loved another person knows there is more to life than that. When your mate suffers, you suffer. Should your child die, you will grieve with a pain that is unimaginable. When death takes a loved one, nobody says, “Oh well, that was nice while it lasted, what’s for dinner?” Materialists and spiritualists both agree that life is sacred and that we should treat every person accordingly, but only spiritualists are consistent on this issue. Life cannot be sacred if there is no such thing as sacred. So what do you believe and do you live consistently? Lots of people say they believe in God, but do we act like it? Do we live justly, show love, and operate according to higher powers and higher rules? Or do we live for momentary pleasures, the accumulation of stuff and our own self-interests? Do we mourn the death of a loved one because her life is sacred while maintaining hope that her soul is still real and we will reconnect on the other side? Lots of other people claim to be materialists, but do you live accordingly? Do you eschew love since it’s an illusion? Do you treat your child no differently than you treat your neighbor’s dog since they’re both just a complex combination of cells? Do you fight for justice even though you know right and wrong are human constructs? 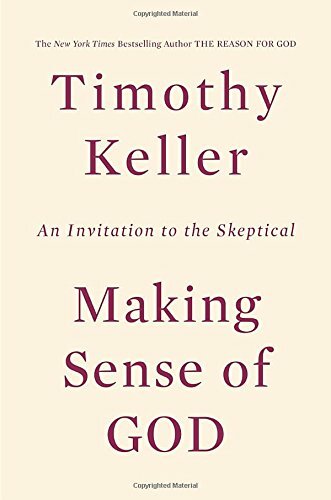 BTW, if you want a great book on these matters, check out Tim Keller's recent book Making Sense of God.